This site provides stratigraphic columns and classifications that attempt to reconcile international stratigraphic standards with many of the regional and historic naming schemes that appear in the literature. 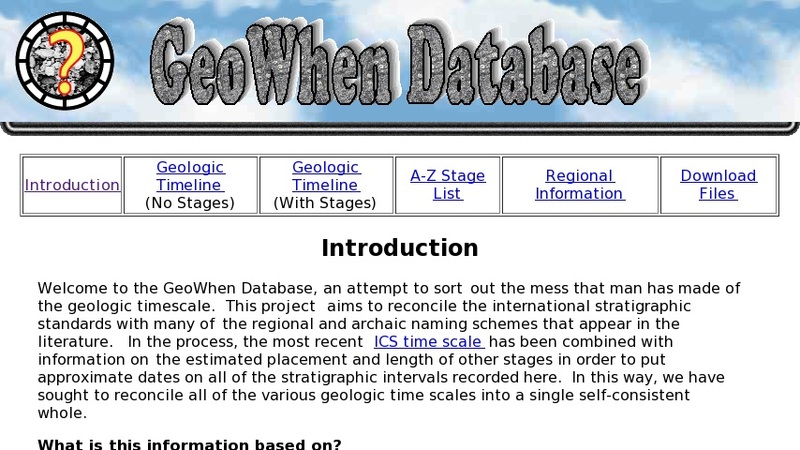 It features an intricately detailed and defined geologic time scale, an A-Z stage list, and regional time scales that use stratigraphic naming systems from around the world. These products are freely available for download.